OIL Search has resumed operations at the Central Processing Facility (CPF) in the Southern Highlands, just over five weeks aftre it was shut in following the 7.5 magnitude earthquake that struck the PNG Highlands on 26 February. 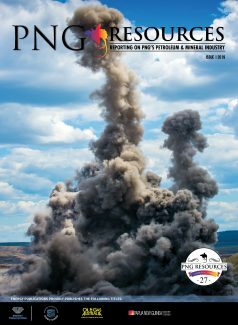 The leading PNG oil and gas company said oil production has commenced from a number of Kutubu oil field wells at an initial rate of approximately 4,000 barrels of oil per day. This follows a detailed assessment of all Oil Search-operated infrastructure, including the processing equipment, storage tanks and flowlines at the CPF, and minor remedial work to ensure the facility’s integrity. Now that the CPF is operational, oil production from the Kutubu complex fields is expected to be brought back online progressively during April. 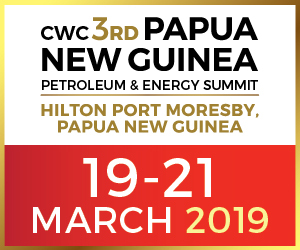 The Oil Search operated condensate handling facilities at the CPF and liquids export pipeline, which are integral to the operation of the PNG LNG Project, are also ready to receive, store and export condensate once the Project recommences gas production. Rehabilitation work to restore the Oil Search-operated Ridge camp, to support the return of production personnel to the Central Processing and Agogo facilities, remains ongoing. Oil Search’s managing director, Peter Botten, said the resumption of safe, reliable and sustainable operations in PNG remains a key priority for Oil Search. “The recommencement of operations at the CPF and oil production at Kutubu, just over a month after the main earthquake struck is a testament not only to the robustness of the facility but also the remarkable efforts of our personnel in the field, who continue to address the challenge of restoring camps and production at our other operated facilities. There is still a lot of work ahead of us, but I would like to thank them once again for their resilience, professionalism and commitment over the last month,” Mr Botten said. “Sadly, local communities in the Hela, Southern Highlands and Western Provinces were devastated by the earthquake, with many deaths, as well as the destruction of homes, livelihoods, important infrastructure and loss of basic necessities. As one of the few organisations in PNG with the ability to provide rapid on-the-ground assistance, Oil Search continues to play a critical role in the relief efforts. “To date, Oil Search has delivered more than 200 tonnes of food and supplies, reaching over 200,000 people mostly within remote villages, delivered almost 100 health centre kits and has undertaken more than 1,400 medical treatment cases, including over 55 medical evacuations.